Another sign that the academic year is back into full swing is that the monthly meetings of the Royal Astronomical Society have started up again after the usual summer hiatus. Since I’ve got a very heavy week coming up, I thought I’d take the advantage of a bit of breathing space in my timetable to attend yesterday’s meeting and catch up with the gossip at the Club afterwards. The highlight of the day’s events was the annual George Darwin Lecture which was given this year by Neil Gehrels from the NASA Goddard Space Flight Center on the subject Gamma Ray Bursts and the Birth of Black Holes: Discoveries by SWIFT. This is a very hot topic (of course) and the lecture did full justice to it. 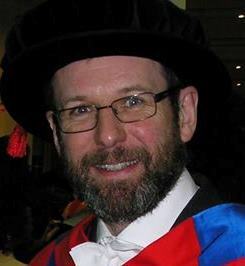 The RAS has two other “prize” lectures – the Gerald Whitrow Lecture and the Harold Jeffreys Lecture – which are used to invite eminent speakers from around the world. They’re not always successful as lectures because the speakers sometimes try to make them too specialised and too detailed, but this one was exceptionally clear and well delivered. I enjoyed it, as well as learning a lot; that’s the essence of a good lecture I think. The main task for visiting speakers when it comes to the George Darwin Lecture is to give their talk without revealing the fact that they hadn’t realised that Charles Darwin had a famous astronomical son! 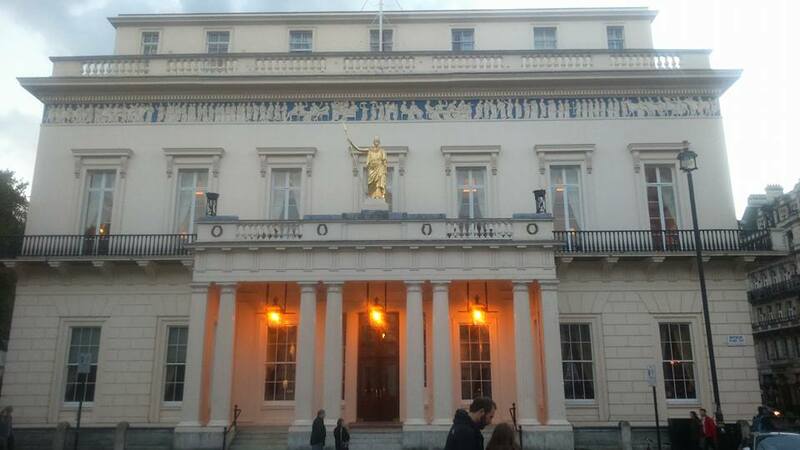 Then to the Athenaeum, for drinks and dinner, where the current financial crisis at STFC was in the background of a lot of the conversation. Rumours abounded but I didn’t pick up any hard information about what is likely to happen to our funding next year. I suspect that’s because even STFC doesn’t know. After a bit of wine, though, conversation moved onto other, less depressing, things including football, cheese and the Welsh landscape. The colleague sitting next to me (an old friend from Queen Mary days, now at Imperial College) reminded me that in January last year Joao Magueijo invited me to give the vote of thanks at his inaugural lecture (as long as I promised to try to make my speech as short and as funny as possible). It turns out his lecture was only twenty minutes long, which didn’t give as much time as I’d hoped to think of something to say so I resorted to a couple of off-colour jokes and a facetious remark about how the brevity of Imperial’s lectures explained why their students never seemed to know anything. I got a very good laugh from the packed lecture theatre, but was told off afterwards by a senior physicist from the Imperial physics department. That particular episode is something I often think about, the pomposity of some of the staff reminding me that I’m not unhappy at not getting a job there I applied for a few years ago. Actually, I just remembered that they took pictures at the party afterwards so here’s one of me and Joao having a chuckle afterwards. Notice I had put a tie on for the occasion, but Joao’s wardrobe is strictly T-shirts only. After Friday’s dinner (roast partridge, if you want to know) I got the last train back to Cardiff from Paddington, snoozing comfortably for a large part of the journey. On time until just outside Cardiff Central, the train then sat motionless on the track almost within sight of the platform owing to the presence of a broken down goods train in front of us. We finally got into the station 50 (FIFTY) minutes late, and I didn’t get home until well after 2am.